Featured Drawings in "The Art of Urban Sketching"
"The Art of Urban Sketching is a stunning, comprehensive guide to on-location drawing. Authored by Gabriel Campanario, founder of the nonprofit group Urban Sketchers (www.urbansketchers.org) and a columnist for The Seattle Times, the beautiful, 320-page volume features the work of more than 100 international artists who sketch where they live and travel. (...) This visually arresting, storytelling take on urban life from different cultures and artistic styles transports you to more than 50 cities, from Seattle to Sydney, spanning every continent and 30 countries. 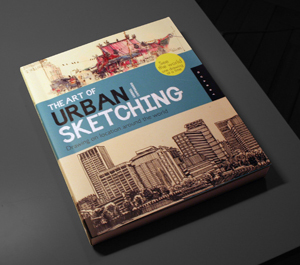 With profiles of leading practitioners and discussions of the benefits of working in this art form, this inspiring book shows how one can participate in and experience urban sketching. The sketchers share the stories behind their drawings as well as their tools -- sometimes as little as a pencil and napkin -- and tips, such as how to sketch at night or on a moving bus." 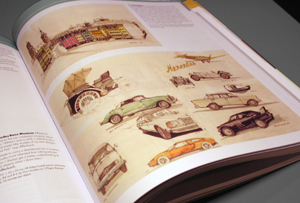 "The location drawings are accompanied by artist profiles and drawing tips. I like the short stories on the sketches. 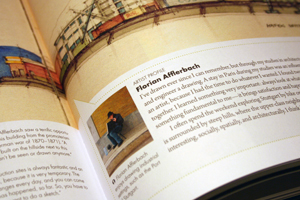 Florian Afflerbach and his friends were drawing in Venice when the flood came and soak their feet. Nina Johansson documented the demolition of a public bath house, and the protest against the demolition."